Added support for cfw 4.70. Fixed regression mounting of ISO. Added support to make BDISO for non PS3 game folders. File Manager: Added support to create Fake ISOs of NTFS files on "My Games" (XMB). press LEFT/RIGHT until it . shows "Make Fake ISO"
exit to XMB and the files should be listed under "Blu-Ray™ and DVD". File Manager: Press triangle over a PKG on NTFS and mount it as /dev_bdvd. - File Manager: Added support to install all the selected PKG files as bubble. - Updated the patches by deank for 4.65/4.66 (fix errors 80010017/8001002B/ignore LIC.DAT/proper anti-ODE patch). - Added new patch by deank for 4.65/4.66 (fix errors 80010017/8001002B). - Disabled patches by habib for 4.65/4.66. - Fixed the offset for the lv2 Memory Protection on 4.60/4.65 and now it's enabled by default. - Fixed a regression that prevented launch movies when global BD-Mirror was enabled. - Moved the 18 internal mamba payloads outside of the RELOAD.SELF. It should free some RAM and now the mamba payloads can be added without having to make a new build. - Moved the 3 internal songs outside of the RELOAD.SELF. This saves aprox. 425KB of RAM and avoid the black screen issues reported recently on 4.60. - Reduced the size of one PNG to save additional 50KB of RAM. - Added support for up to 50 external songs in "mod" format. - Added support to list prepNTFS on Homebrew list. -Fixed a regression from 3.15 that prevented that PS3 ISO could be mounted. - IRISMAN can be used *with limited functions* even if the CFW syscalls are disabled (e.g. 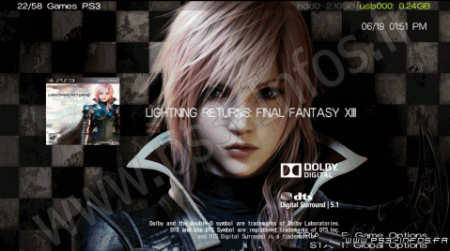 by PSN Patch or webMAN-MOD). 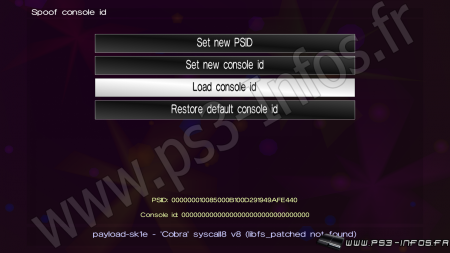 - Added option to mount PSX ISOs with SELECT+X if the CFW supports Cobra or Mamba.